I love my readers and followers so very much. I honestly feel like a lucky girl every single time you send me a sweet message, a word of encouragement or even a question. I get a lot of questions that I have noticed tend to either be the same or are basically similar so I decided to let you send some questions that you would love to have answered. After putting it out to you on Monday and sorting through your questions (you sent some good ones!) I have a number of them to answer for you today. I am excited about this post and hope to make it a regular thing ... if it is something you would like to see more of, you ask and I am happy to answer! Where do you find great decorative items ... cups, cute notepads, stationery, etc? Great question and an easy one to answer. 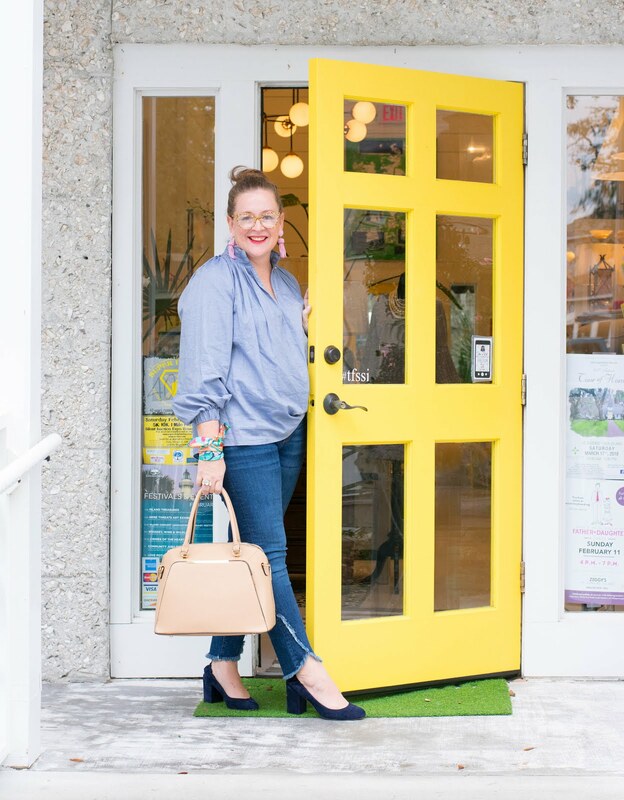 One of my favorite friends, Emily McCarthy owns a wonderful online (and brick and mortar) shoppe that will meet all of these needs. 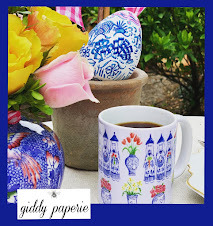 She has the best cups (these are my new favorites) and napkins and wonderful notepads and stationery, both personalized and non personalized. 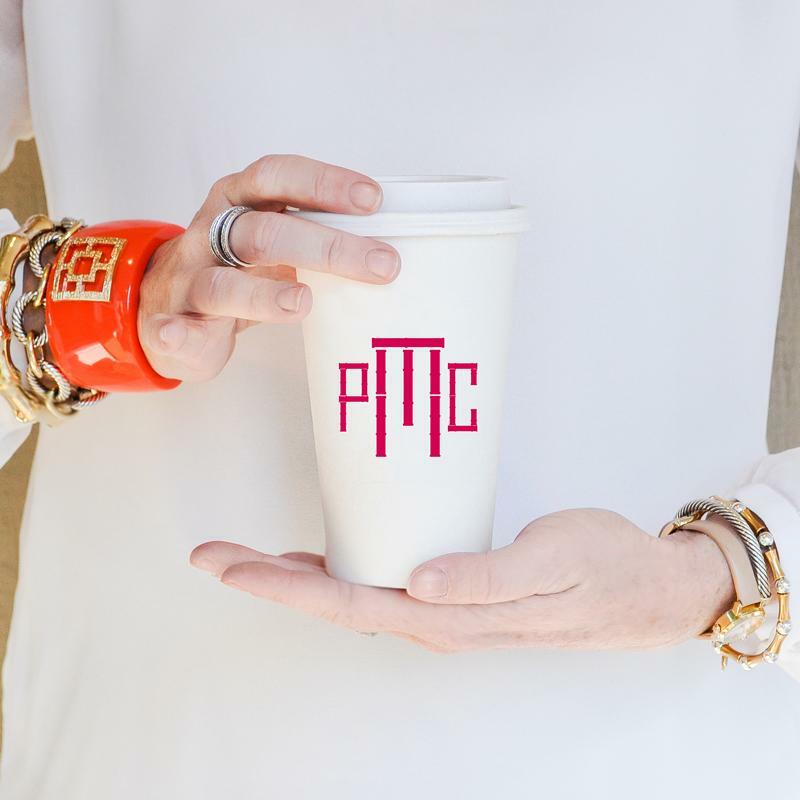 She also carries darling items from the Gift Bar which are monogrammed in a single letter (but in the best way possible) that you can snag and use to stock your bar or wrap and give as gifts to all. I have the M's and we love them. They are perfect for everyday use but always take our bar and coffee areas to the next level! 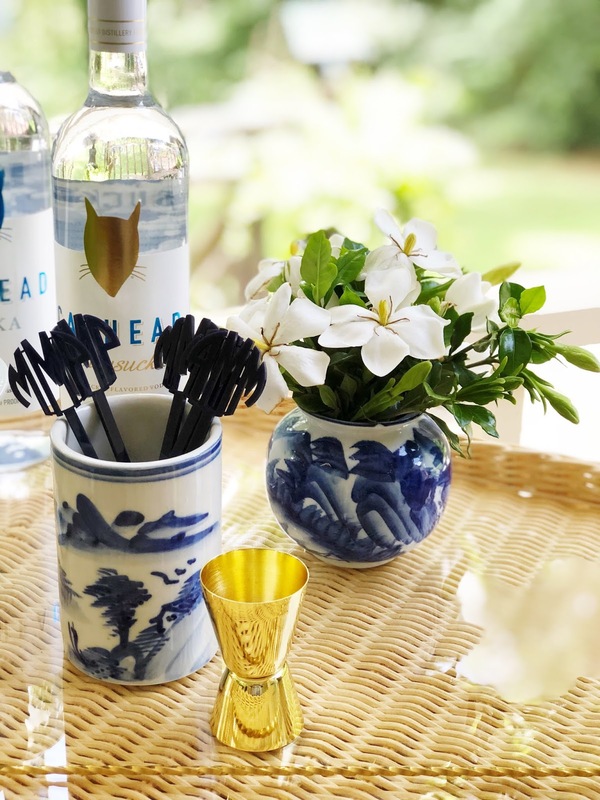 Items from the Gift Bar are also perfect for gifts when you don't have time to have something monogrammed or you just want to use the last name and not worry about details for initials. I also adore Caroline's darling notepads and have quite a few of them. I have the Girl Boss and love the Palm print. They are perfect for to do lists and grocery needs. If you don't know her you will adore her, she is as cute as her designs! What is your number one favorite decorating trick? What a fun question!! As you know by a peek into our house I love color. 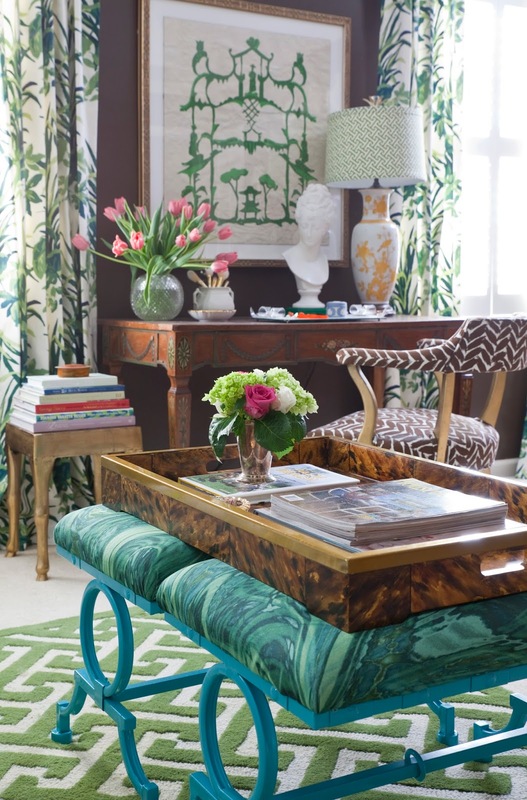 Color and pattern makes me happy and a home full of both gives me life. Luckily I married a man who grew up with a mother with a turquoise stair well so he doesn't even seem to notice. When we got married he owned a pink and blue sofa (he called it rose and powder blue 😁) and I knew I was meant to marry this man. I love a room with both color on the wall and the ceiling even if they are both pale shades. I remember worrying that our den we lacquered white would be boring but I find it anything but. Color, color, color for me. One of my favorite decorating tricks is to cover a white lampshade with fabric. It is a perfect way for me to introduce another pattern into a space and covering the lampshade makes me feel like the lamp is fully dressed. Leaving it white, which I have done in a few spaces in our home, makes me feel like it is naked. I truly love how they look when they are covered. 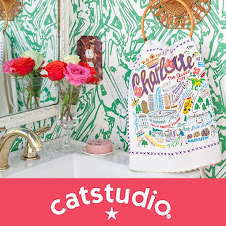 Can you share a tutorial on how you make fabric covered lampshades? This is a common question and I always feel bad about this answer, but sadly, no. I make shades for others quite a bit and I make them to sell so I feel that sharing how I make them is sort of tricky. I am happy to make you a set if you need one, but at this time I can't make a tutorial to share. I feel bad every single time I say no. I hope you understand! Can you share your sources for sunglasses? I know you have shared before but would you share them again? Absolutely!! I get most of my glasses from one of two online sources, Eyebobs and Warby Parker. I own quite a few pairs from Eyebobs and they are my go to frames in most of my photos. Most recently I purchased two pairs from my local eye doctor, Roswell Eye Clinic, and I love both of them. The first pair is a over sized square tortoise from Chanel and the other is a red round pair from Prada. Both of them are to the trade for eye clinics and I don't have sources for either of them. Can you share some tips about your daily habits/routines and any special tips or tools for running your life/family more smoothly? I love that you think my life is smooth, it feels like a three ring circus most days and I wonder if I ever have it together! Most days I run around like a busted can of biscuits! I will say I love to be organized and I do feel more pulled together with some things in place. It helps me to handle what is coming since kids and families always throw a wrench in any well planned day, am I right? One of the best things for us is an organized pantry that is labeled so I can take a look and see what is in stock and what I need to grab. 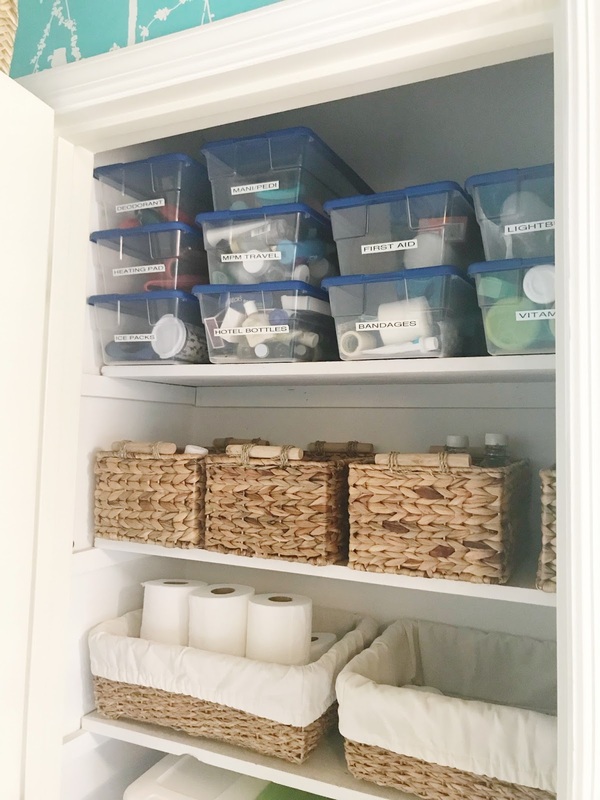 I have shared before that I use these clear boxes and my label maker to organize the snack pantry, the linen closet and the closet for light bulbs, batteries and the like. I love using these shoe boxes because the size is ideal and they are clear which means you can tell before even touching the box what you need. For larger items I go the basket route ... and I find a label on the front makes it immediately user friendly! I also use two calendars, one for personal and for the blog. I find if I can't get to the blog for whatever reason it is easier for me to look at our personal schedule and not feel confused. For example, Monday I had two calls and two posts due (one for me and one for The Southern C) and a number of emails that needed a response. Separately on our personal calendar I only had a dentist appointment for the youngest and three must dos. If I was ill or needed to move things on the blog from one day to the next I would easily be able to differentiate between the two. I hope that makes sense. I also use a different color for each person ... pink for me, blue for the girl, red for our middle child and green for family items. I think it is so much easier to spot who needs what this way. One more tip that I truly believe in would be the Dash buttons. I love a good Dash button. We have them for a number of things in the house and I love them because they are items that I find are necessities for running a home. My favorites would be the household items buttons - toilet paper, paper towels, laundry detergent, garbage bags, K cups and dishwasher tabs. You can get for snack items, pets and so much more. You see you are low in an area and you press the button and the next day your item arrives. BAM, its the best. Can you share some tips on how to sprinkle in seasonal/holiday decor? How do you season/style your home for holidays and seasons? Such a fun question!!! I love to add some seasonal touches to our home and I like to focus on a season vs a holiday with the exception of Christmas. When starting to add touches for each season I think of the colors I want to add ... for example when thinking of Spring and Easter I am focusing on pink, green and yellow. For me all my seasonal touches start with flowers. For this spring I am planning on grabbing some tulips to add around the house in a few specific areas. I focus on the chest in the foyer, the coffee table, my desk and the kitchen counter. 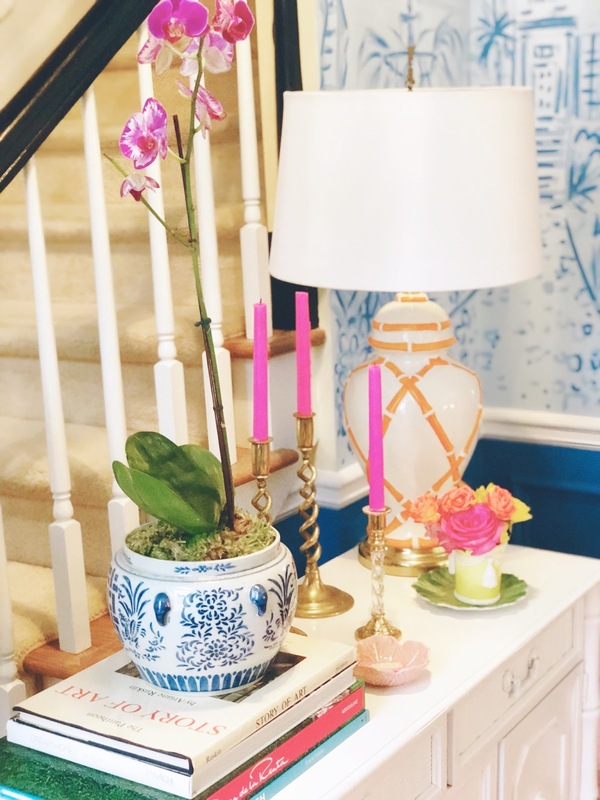 For me spring means life and color so adding these touches along with making sure my orchids are fresh and thriving (read, buy new ones and pull out the sticks in the pots) is a great start to making the house feel alive for the new season. Next, grab a fresh new candle. I love citrus and floral scents so adding a candle or two in a new scent instantly makes the home feel fresh for the new season. At this point I have flowers and a few new candles. I love both this scent and this one. My next step includes grabbing some paper napkins, cups and little touches that make our coffee area and center of the kitchen table feel spring-y! I keep this tray in the center of the table which I can add some fun touches to and make it feel fresh for the new season. Adding a candle, some flowers, a bowl of fresh fruit and a lucite container of napkins instantly makes things feel fresh and new. I have chosen these cups, some of my monogram cocktail napkins and I found these darling cookies and marshmallows to add to canisters around our coffee bar! One of my favorite little candies to add for spring and Easter is a few bags of CVS Jordan almonds. They are darling colors and they remind me of my Nana so win, win! Lastly, a fun wreath for the front door. I love pulling up to the house and seeing a fun wreath greeting me and all of our guests. We live on a popular corner so I love to have something people can see when they stop at the stop sign in front of our house. I absolutely love this one!! How far in advance do you invite people over? Unless it is a holiday party, as in an ornament exchange or sit down dinner for New Year's Eve, I usually don't follow the two week advance invitation rule. We are very last minute around here and usually the idea to have someone over will strike when we see friends or the weather is lovely and we throw something together last minute. For holidays obviously we make other plans since most of our family lives out of town and we have to make travel plans, etc. We are famous for deciding Thursday night that Saturday night would be a fun night to cook out and the next thing you know a group text is out and we have people coming over with something in hand. At this stage in our life with teenagers its just easier and more fun, honestly, to do it this way. We aren't in a place where we entertain formally since the Hubs has gone in house and I love that everything is way more casual. I have said it many times when doing events, invite over who you really want to get to know and be with and so being casual is the better option for us. The last dinner party I planned ... a sit down for six on December 21 ... had to be cancelled due to a medical emergency and honestly it was the most formal invitation I had made since Easter. 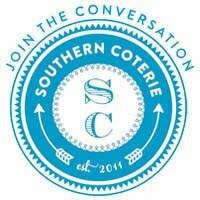 Can you share sources for table linens? Where do you find yours? I will admit I have to hunt to find table linens that I love. 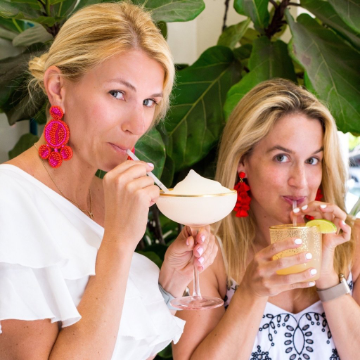 I have a few places I check when I am looking for a new one and I make the rounds between Williams Sonoma, Pottery Barn, Home Goods, Mark + Graham and a few of my favorite shops. I will dedicate an entire post to this subject. I will even pull some of my favorites to share with you for purchase. In the mean time, here are some I love at the moment! 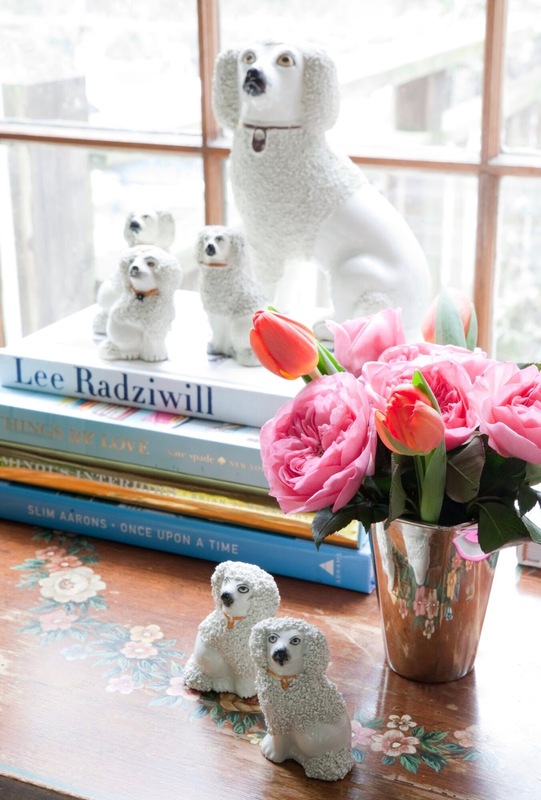 When decorating a house what advice would you give for items to splurge on vs. saving? This question is a little bit tougher for me since I am not a designer and most of my home is a mixture of vintage scores and antique hand me downs. I deferred to the expert (Lance of Parker Kennedy Living) for his advice and I am sharing the response he gave me with you today. 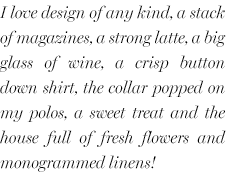 "I would definitely splurge on the sofa and the drapery. These are areas you need to make sure you spend your money and the areas that will definitely give you the most bang for your dollar. I think you should definitely invest good money in your lamps, whether you choose new or vintage, and most importantly invest in a good shade. There is nothing worse than a bad shade or a lamp that isn't properly sized for the space. You can save money with vintage cocktail tables and paint them yourself and fill your bookshelves with thrifted color block books from Good Will and thrift stores. Another great way to save money is to layer seagrass rugs on your floors to create a layered look without breaking the bank." What is the color of your nails? I get this question a lot and it is an easy one to answer. I get a gel manicure every few weeks and always chose the same color. I like that my nails feel consistent in a multiple number of photos! I use Essie Gel in Blizzard! I really enjoyed this post!!! I love hearing what you think and what you would like to see me talk about on the blog. I have also been asked for a home tour and a few live sessions so I have both of those on the brain at the moment. We shall see!! Have the best Friday, and the best weekend! !